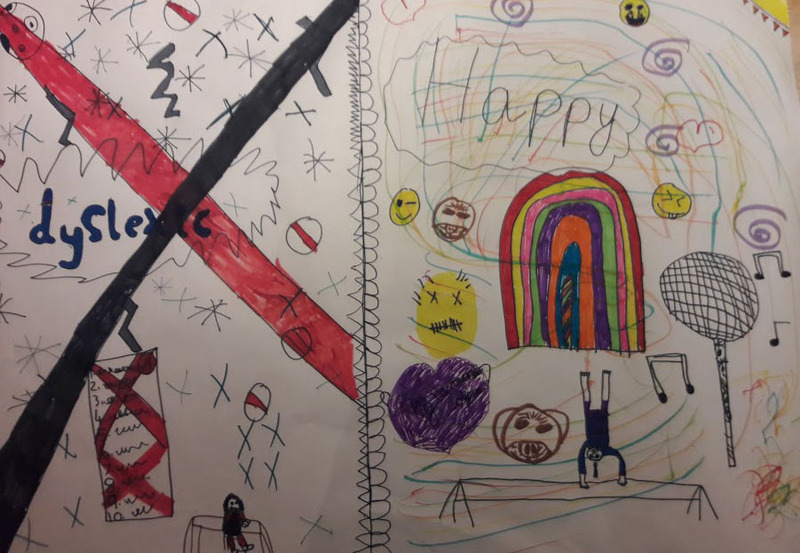 These inspiring art works were submitted by children and young people from Scotland and further afield for Margaret Rooke’s new book Dyslexia is my Superpower (most of the time!). Margaret only got to pick a few for her book, so we're getting the chance to show off the rest on Dyslexia Unwrapped! Click the images below to see the full size pictures. 1. 'Keep calm - I am dyslexic!' - Rebecca, Scotland. 2. 'Playing basketball for the team' - Rory, Stirling, Scotland. 3. 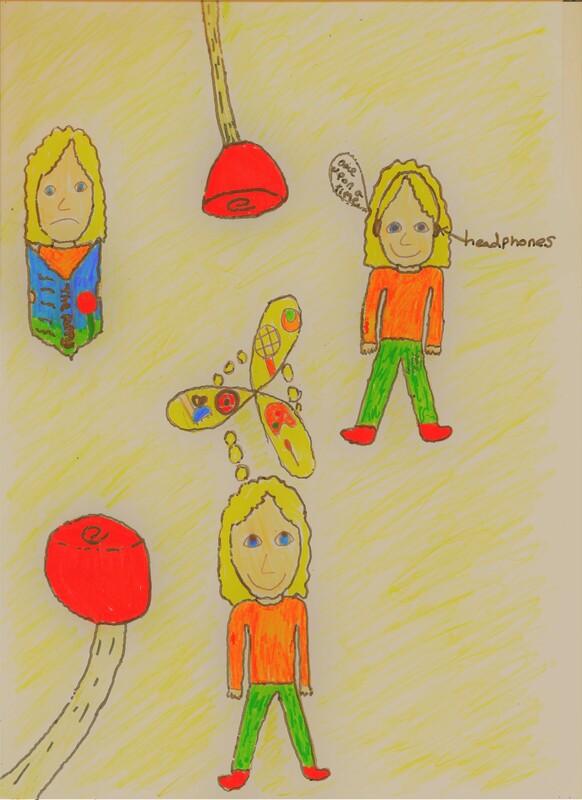 Untitled - Rosalyn, age 9, Edinburgh, Scotland. 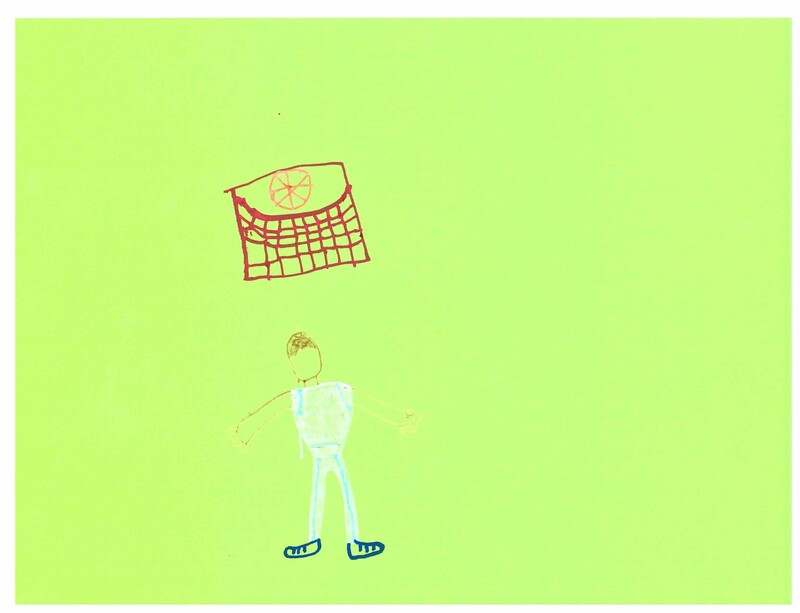 Rosalyn's Charles Rennie Mackintosh inspired picture represents how she can still access the pleasure of stories through audio books and also the other activities that she enjoys and help her gain confidence. 4. 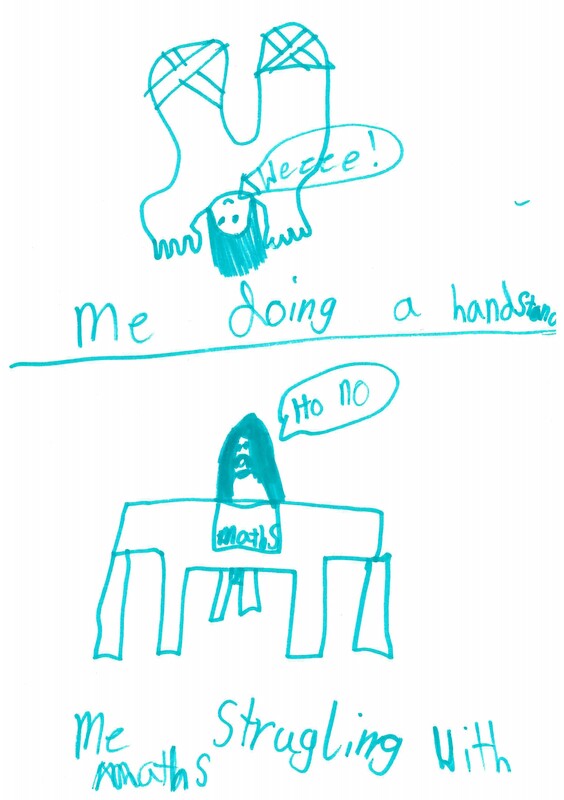 'School vs Gymnastics' - Tara, age 9, Scotland. 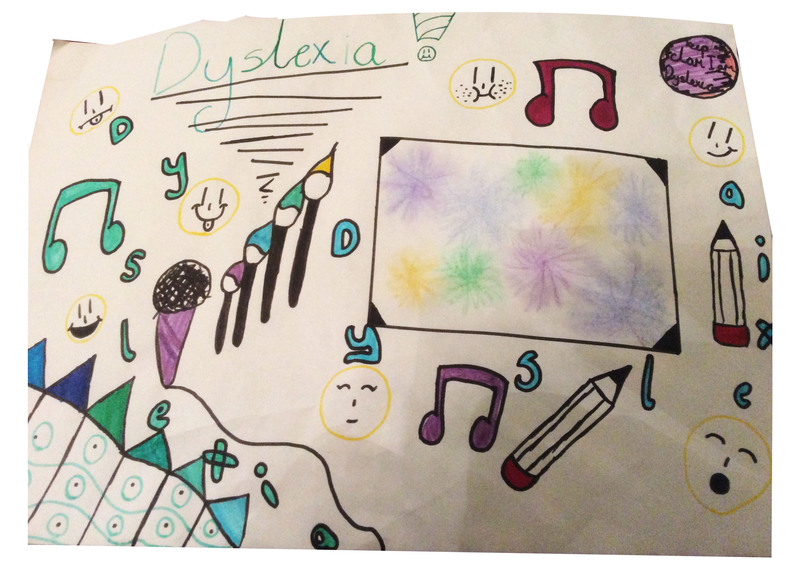 Tara drew this picture about her relationship with dyslexia. Tara loves gymnastics, and you can see her doing a cartwheel on the beam on the ‘happy’ side of the drawing. On the left side she’s feeling sad sitting at her desk at school ... her spelling test is all wrong and she`s got a ‘F’ for it. 5. 'Maths and Handstands' - Zoe, age 8, Edinburgh, Scotland. This picture is about Zoe doing something she is good at - headstands - and Zoe struggling with maths.